used furniture, appliances, home accessories, building materials and more to the public at a fraction of the retail price. Increase the number of housing solutions and neighborhood revitalizations provided by Central SC Habitat for Humanity. Provided quality building materials and household items to the general public at discounted prices. 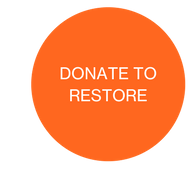 A ReStore is a store that accepts donations of new and gently used furniture, building materials, appliances, and other household items from individuals and businesses in the community. The ReStore then sells those items to the public at a reduced cost usually 50-90 percent below the original retail value. All proceeds support Central SC Habitat for Humanity's mission. Customers - Save 50-90% off retail prices on building materials, furniture, appliances of all kinds and other household items. Environment - Whether you buy or donate materials, you are reducing the amount of usable building materials being deposited into a landfill. Last year your donations kept 755 tons of material out of local landfills. Community - The proceeds from the ReStore will help build or preserve homes with families in Richland and Lexington Counties.